All Carpinteria homes currently listed for sale in Carpinteria as of 04/25/2019 are shown below. You can change the search criteria at any time by pressing the 'Change Search' button below. If you have any questions or you would like more information about any Carpinteria homes for sale or other Carpinteria real estate, please contact us and one of our knowledgeable Carpinteria REALTORS® would be pleased to assist you. "This magnificent Cape Cod-style oceanfront estate features a wondrous home and comfortable, private guest house on nearly 1.5 acres in the prestigious gated Sand Point beach colony near Montecito, CA. Facing approx +/- 120 ft. of beach frontage, the main residence offers 3 bedrooms and 3 full baths plus 2 half-baths. The charming guest house provides a bedroom, bathroom, living room and kitchen. An elevator in the main residence serves a lower level providing over 3,000 sq. ft. of usable space. The expansive wraparound deck and on-deck spa overlook the ocean and pristine beach, while a refreshing lap pool offers views of the revered Carpinteria Salt Marsh Reserve, and beyond to the mountains. Overall, this spectacular estate is a masterpiece of design & craftsmanship. The list of amenities, tasteful accouterments, and convenient recreational, social and cultural options goes on and on. Suffice it to say that this magnificent Cape Cod-style oceanfront estate is nothing short of magical." "Presenting an iconic Casa Blanca Villa at Sand Point featuring spectacular ocean front location and panoramic views of the islands, ocean and mountains. This unique villa offers 5656 sf of expansive living space with 5 beds, 5 full baths + 2 powder rooms. The grand master suite opens to an expansive ocean view terrace with an adjoining room." "Imagine the possibilities! HeartStone Ranch is a 12-acre estate property located on the Santa Barbara coast and it offers an unprecedented lifestyle, just moments from the beaches of Padaro Lane and the charming villages of Carpinteria and Montecito. This beautiful property is entirely usable with gently sloping acres of green pastures for horses or an ideal location for an orchard or vineyard, all irrigated with a private well and 2 agriculture meter. Expansive lush lawns are surrounded by stonewalls, rose gardens, ancient oaks, towering palm trees, an outdoor kitchen with fireplace and a koi pond with waterfall. There is an arena, round pen & 2 rustic, romantic barns. A Guest House & ranch manager's home add to the versatility of the property. With 360 degree vistas, this incredible ocean and mountain view property, offers limitless possibilities as a country home, organic farm, vineyard, equestrian facility, car collectors dream, a private family compound or a corporate retreat." "An incomparable rural paradise, Rancho Monte Alegre sits at the intersection of country and coastal life offering a peaceful and serene lifestyle interrupted only by the sounds of nature. With panoramic ocean, coastline and mountain views, this approximately 24 acre property offers limitless possibilities just moments from the beaches and towns of Carpinteria and Montecito. The original Hopkins farmhouse and barn anchor the lower portion of the property and are surrounded by expansive lawns, stately mature trees, avocado orchards, and 2 ponds. With unprecedented access to the Los Padres National forest and extensive wilderness, this is a nature lover's private paradise." "Individually Designed Multi-family Rancho Bellos Encinos Estate in Carpinteria! Stunning ocean and mountain views offer scenic beauty of both land and sea! Built in 1990, this rural property offers 5 bedrooms, 6 bathrooms, approximately 5,500 square feet, enclosed patios, a serene sunroom, approximately 7.83 acres of land(zoned RR-10), as well as a 2 bedroom, 2 bathroom, 1,200 sq. ft. updated guest house! Soaring ceilings welcome guests into an inviting entryway, and a spacious living room featuring a stunning Turkish marble 2-sided fireplace! Cheerful eat-in kitchen flows gracefully into the family room, dining areas, and a beautiful wood deck to enjoy the outdoors! Estate offers two master suites with dual sinks, relaxing soaking tubs, and separate showers! Two additional bedrooms share a full bathroom and a desirable lower-level en suite for your guests! You will never miss a beautiful view from the perfectly framed windows that capture serene vistas of the expansive property. With direct access to some of the most desirable riding trails, this property offers many opportunities for equestrian facilities or even the chance to create an agricultural farm with access to AG water! Location just minutes from the ocean, polo grounds, and restaurants!" "Two-in-one! Two houses on one lot in a Carpinteria cul-de-sac, 2 bdr 2 ba each. Sparkling remodeled, fresh and bright, and move-in ready. New stainless appliances, stone counters, new wood and tile floors, beamed cathedral ceilings, spacious decks, on-site laundry and storage sheds, fenced easy-care yard. Mountain views, short distance to the beach, shopping, parks. Wonderful opportunity to live at the beach in a family compound, or live in one house, rent out the other, or as vacation rentals (subject to City of Carpinteria Permit)." "Wow amazing single story Carpinteria gem on a quiet cul de sac! This home was built in 2008 and is located on in ideal location close to downtown and the beach areas. The covered porch is inviting and charming. As you enter the front door there is a formal living room with vaulted ceilings and crown molding. There is a bedroom off the living room that could be perfect for a home office. The kitchen is open and spacious with granite and built in appliances. The family room offers a fireplace and access to the backyard. The private backyard has interlocking pavers, lush landscaping and a vegetable garden. There is a laundry room and the garage has been finished. There are two large bedrooms with a jack and jill bathroom. The master features a walk in closet with a custom organizer and a beautifully tiled shower with a separate tub. This is an amazing home, call today to view." "This Family Heirloom Property is Priced to Sell! An Adorable Beach Cottage in One Family for Generations. Tucked Away on a Quiet Street Yet Only a Few Blocks from All that Makes Carpinteria Famous...The Beach and Downtown. This Unique Property Offers Two Spacious Bedrooms and One Remolded Bath, Living Room, Dining Room and Cheerful Kitchen, Spacious Enclosed Rear Patio Addition and 2 Car Detached Garage. With Stunning Mountain Views this Property Sits on a Huge PRD-3 Lot with the Potential of Adding 2 Additional Units in Desired. This Rare Heirloom Property Offers the Perfect Beach Getaway, Full or Part Time Residence and Future Development Opportunities. Don't Miss it!" "Another outstanding opportunity awaits! Charming 3 bedroom ranch style home with large family room with open beam ceilings. Formal living, dining area off kitchen, walk in pantry in kitchen, skylight and ceiling fans. Front bedroom has separate entrance. Attached direct access garage. Room on driveway for 3 cars. Open patio in back, producing citrus trees." "Welcome to this charming Cape Cod style home situated in the rarely available Meadows of Carprinteria. Nestled in middle of a lush green belt, this home is a peaceful retreat. Beautiful upgrades enhance this 4 bedroom, 2.5 bathroom home. Spacious living room features vaulted ceilings & fireplace. Open dining area complete with granite counter serving area. Enjoy cooking in the kitchen with granite counters, gas range & breakfast bar while enjoying a view of the mountains. Retreat to master bedroom with vaulted ceilings, mountain views & balcony. Recently updated with new wood-like flooring & carpet, paint, granite counters and more. California living with community pool, spa and clubhouse. Attached 2 car garage with direct access. Close to beautiful beaches and downtown." "Perfect Coastal Getaway Just a Stone's Throw to the Beach. Quaint Cape Cod Inspired Sandpiper Condo Ideal for Weekend Get-Aways. Desirable End Unit with Light-Filled Rooms and Open Floor Plan to Maximize the Space. Kitchen Offers Rich Wood Built-in Cabinetry and Custom Lighting. Upstairs Offers Loft Bedroom with Beautiful Hardwood Floors, Window Seat and Spacious Walk-in Closet. Covered Parking with Storage and Laundry Area. Just a Short Walk to All of the Shops, Cafes and Restaurants in Town." "Prime location in Silver Sands Village a resident owned community. * * * Sold for land value only. Just 2 blocks from the world's safest beach, adjacent to the Carpinteria Nature Park Preserve, Salt Marsh, Purchase price includes membership in the non-profit corporation that owns the land. Park amenities include: pool, clubhouse, car wash, laundry room. Monthly fee of $351.27 includes, water, sewer, and trash removal. Enjoy walking downtown Carpinteria with unique shops, great restaurants, and more." "Great value for this Spanish style condo well located within the desirable Villa Del Mar complex featuring views of the greenbelt and mountains. This ready to move into unit offers 2 bedrooms and 1 1/2 baths, a spacious living room, good sized kitchen with washer and dryer in unit. The one car garage is spacious with room for additional storage plus there is a covered carport. The HOA offers a pool, clubhouse, a play area and beautiful landscaped grounds. 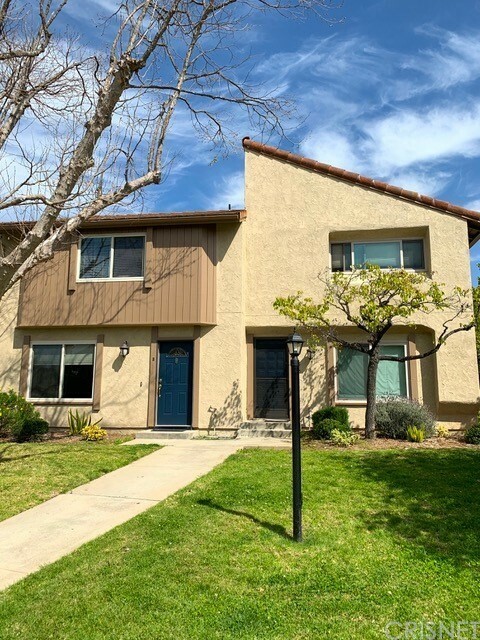 Just a short distance from the scenic Carpinteria Bluffs and beaches, parks as well as shopping and dining with easy access to the freeway too." "This bright and well maintined 2 bedroom enjoys a priority location in popular Sandpiper Village; bordering open space and having mountain views. Spacious floor plan allows for traditional or versatility to suit your living preference needs. Master bedroom includes own ensuite bath with soaking tub. An enclosed sun room has been newly tiled and opens to an inviting patio and garden area. This residence has been nicely updated over the years with dual pane windows, skylights, engineered wood flooring, double built in ovens, and new linoleum tile. Additional attractive features include 2 nice siced sheds and an outdoor sink and counter area. if you're looking for convenient living near the beach, offering privacy and all the amenities of a private resort, this is it!" "Move right in to this Just-Like-New-Home! This freshly painted (inside and outside! )2005 coach has 3 bedrooms + 2 baths (one bedroom currently a study/office) on a larger than most lot. There are hardwood floors, high vaulted ceilings, ceiling fans, dual-paned windows and raised panel doors. The kitchen is spacious and has a gas range, built-in microwave, dishwasher, stainless steel double sinks, maple cabinets, laminate counters and tile-look vinyl flooring. There is a full-size laundry/utility room off the covered 2-car carport. The hall bath with toilet, single vanity + tub/shower combination is convenient to the secondary bedrooms or for your guests. The oversized master suite has a private bath with stall shower, huge soaking tub, dual vanities and large linen cabinet. The living and dining rooms have vaulted and trey ceilings. The front (and rear) of the coach has a composite deck, railing and stairs for long-lasting durability. Come see this special home in a family park (space rent is $865) that is move-in ready and so close to the beach!!"